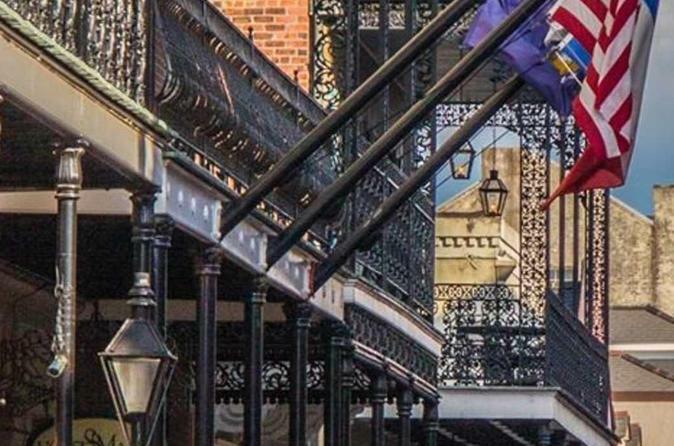 This tour is a fun and casual walk through the Vieux Carre starting at your French Quarter hotel or Antoine's Annex at 513 Royal Street. It provides a broad overview of the history and culture including architecture, music, and history. You are welcome to bring your dogs along on this tour. On your schedule. "The houses are massed in blocks; are austerely plain and dignified; uniform of pattern, with here and there a departure from it with pleasant effect; all are plastered on the outside, and nearly all have long, iron-railed verandas running along the several stories. The deep, warm, varicolored stain with which time and the weather have enriched the plaster. It harmonizes with all the surroundings, and has as natural a look of belonging there as has the flush upon sunset clouds." -Mark Twain.